Home > News > The DonateLife Fun Run – walk, jog or run 5km with your mates for organ donation on Sep 25! 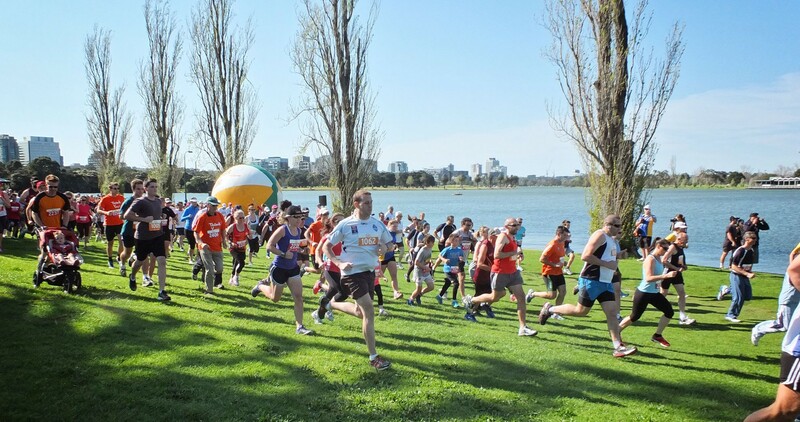 Anyone touched by the gift of life is welcome to participate in the DonateLife Fun Run, taking place on Sunday, 25 September as part of the Opening Ceremony of the 15th Australian Transplant Games. Participants will be running through the stunning world-class sporting venue, the Sydney International Regatta Centre, and the Penrith Lakes area as they complete either 3km or 5km for organ and tissue donation. Whether you move at a leisurely pace, or tackle the course like ‘The Flash’, the important thing is to be involved. You can register as an individual, a family, or as a corporate, social, or charity team. You can dress up; dress down; walk or jog – the only rule: it must be fun. The environment promises to be uplifting and brilliant, with stalls, activities for the kids, and other entertainment during this hour-long race event. At the Fun Run in Melbourne, 347 people took part. This year, we’re hoping Western Sydney will pull an even larger crowd, to collectively celebrate the gift of life. Course: The race will start at the rear of grandstand and follow the lake path around the main lake, finishing in front of the grandstand. For more information, visit our DonateLife Fun Run page.